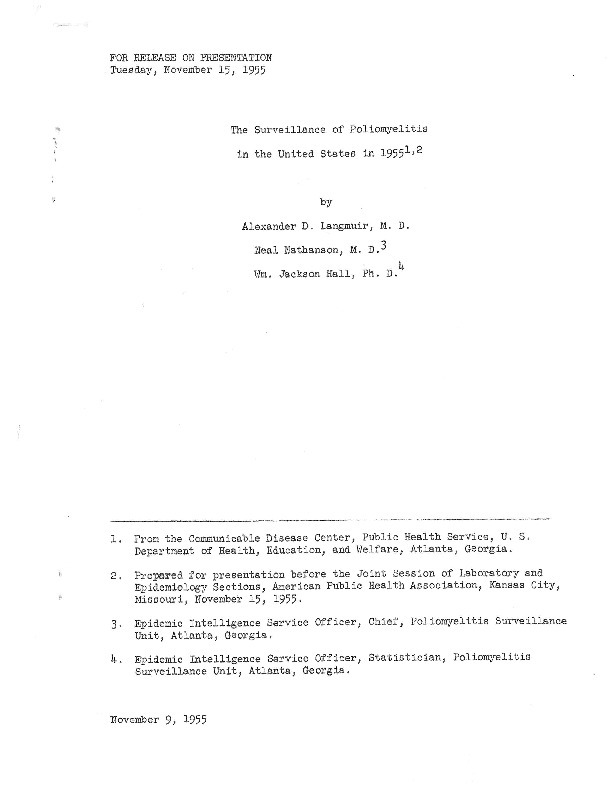 The Surveillance of Poliomyelitis in the United States in 1955. This report focuses on surveillance activities practiced whilst researching poliomyelitis and the search for a vaccine. “1955 POLIO SURVEILLANCE,” The Global Health Chronicles, accessed April 20, 2019, https://globalhealthchronicles.org/items/show/6225.